Every family lawyer should understand the workings of the Hague Convention on the Civil Aspects of International Child Abduction. Family law is becoming increasingly internationalized as the world is shrinking, international relationships are increasing and international travel is growing. Clients who fear that their children may be abducted, or who worry about allowing their children to travel overseas, or who are contemplating international marriage or international divorce expect their family lawyer to be conversant with the treaty. 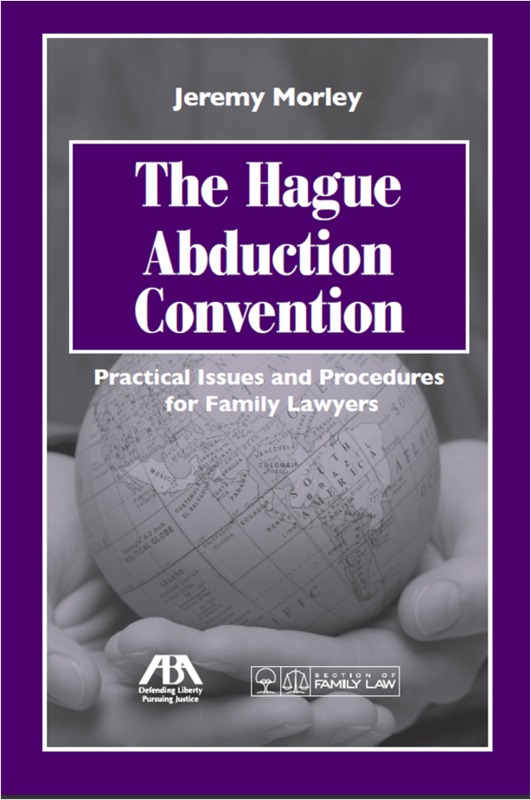 The Hague Abduction Convention tells family lawyers how this critical treaty works in the United States, both in theory and in practice. The renowned author, Jeremy D. Morley, has enormous experience counseling clients and fellow practitioners as to international family law matters globally, as well as lecturing on international child custody law to audiences around the world. The Convention is misunderstood by many family lawyers, and judges may not be fully aware of the law and the voluminous case law that has developed around it. It operates in the United States in ways that are significantly different than in other Hague countries due to federal legislation that implements the treaty, the concurrence of federal and state jurisdiction, the uniform state legislation on child custody jurisdiction and a host of other factors. The threshold issue of establishing the child's "habitual residence"